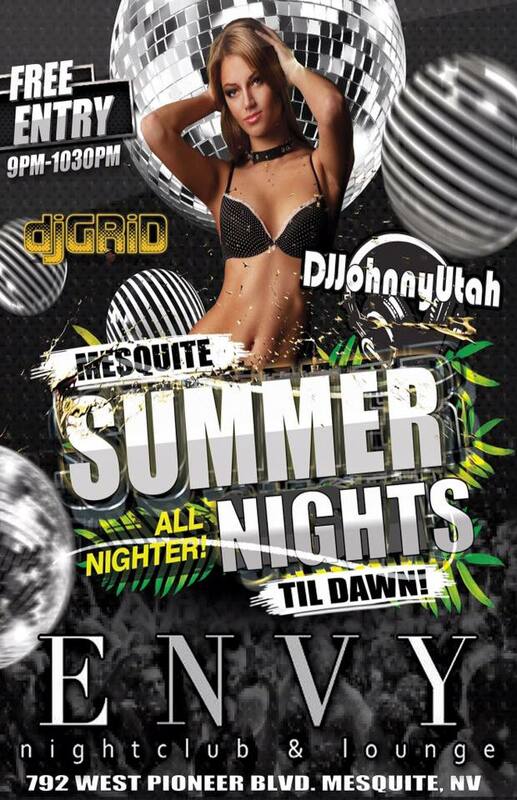 Party til Dawn with DJ Johnny Utah and DJ Grid Saturday Night at Envy Nightclub and Lounge! Doors Open at 9pm and we Party til DAWN! No Cover Charge for Everyone before 1030pm. Free Glow Sticks, FREE Schwag, All your Favorite Music and Much More. VIP Bottle Service Available starting at Only $150! We also have some Great Birthday Specials going on so Call (801) 231-3096 if its your birthday or a friends birthday and we will hook you up! Gonna be a HUGE Weekend so Invite ALL Your Friends!